If you use Pinterest then you may have seen this image before. For a while it was everywhere. I’m not exactly a skilled knitter, and I also don’t really have the patience to do long simple patterns – I need to feel like I am pushing myself. 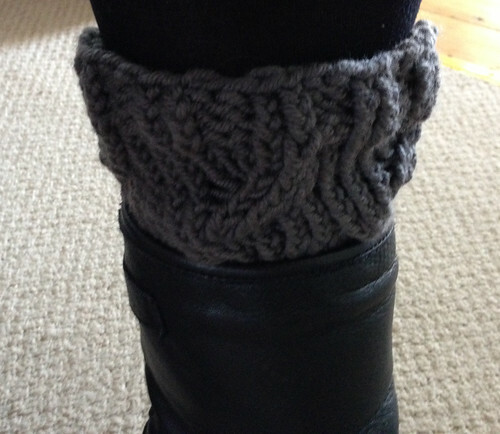 After looking at the notes on the project on Ravelry for Boot Candy Boot Toppers, this looked like the perfect pattern for me. It is quick to knit up, knitted in the round (new to me) and with cables.